Hickory Tree Delicatessen is a New Jersey family owned deli that was founded in 1978 . They're best known for their Sloppy Joe sandwich, an old family recipe. 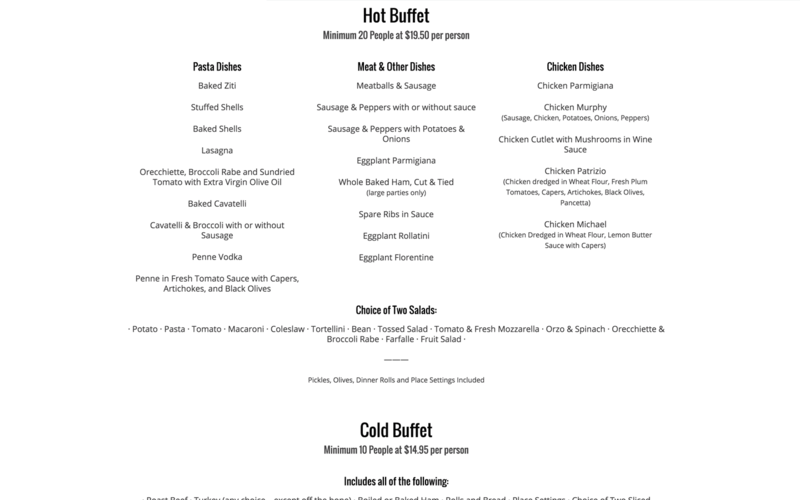 Every few years it is a smart idea to update your website to the newest standards. 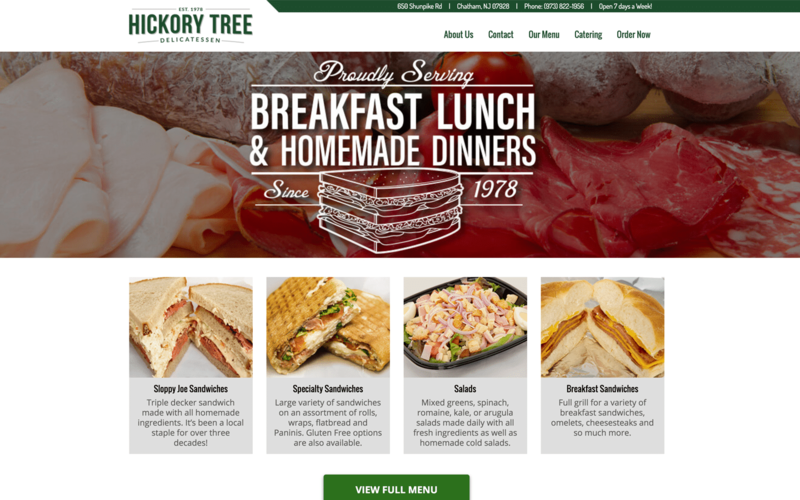 Hickory Tree Deli understood the need for a new design and better customer experience. 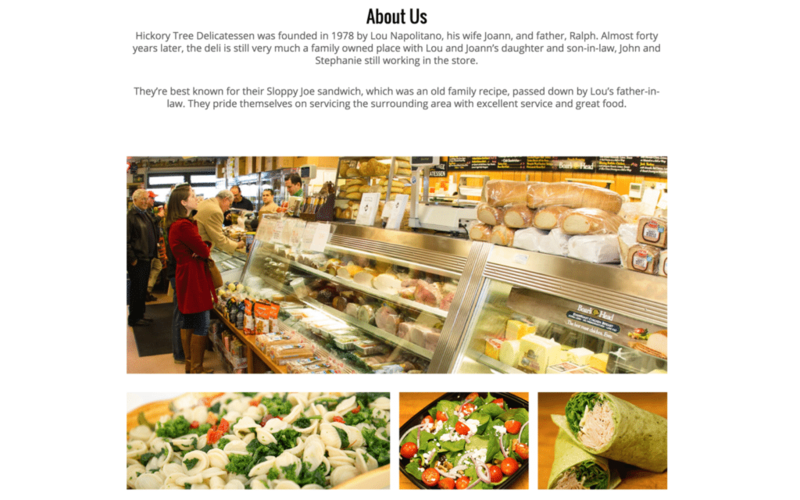 They wanted to make sure that the customer experience was rich, engaging and felt like you were already at the deli itself. Understanding the need for a spruce up and better customer experience on the go via mobile devices, we built a site that is easy for customers to use. 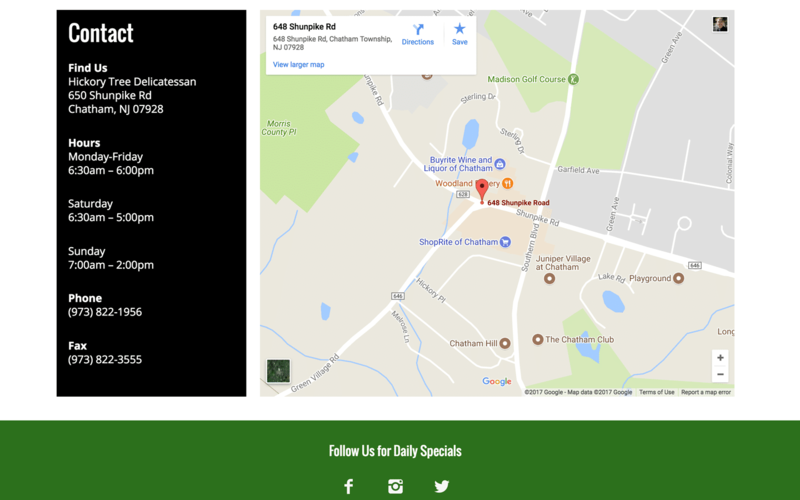 It doesn't matter if their customer needs catering, a menu, directions, or contact information, Hickory Tree Deli's clients now have easy access.